I was really pleased that we gave Tom such a good send off as he was leaving us for Market Rasen on September 10th. 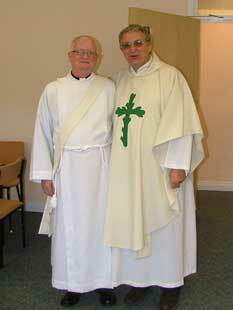 I thought that he spoke particularly warmly and gratefully at his last weekend masses with us. 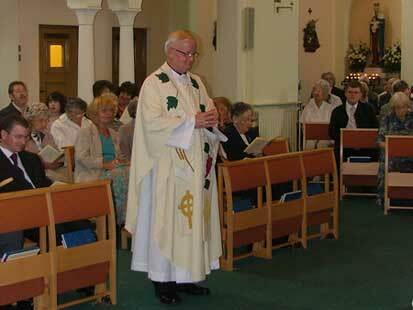 He reminded us all of the highlights of his ordination weekend and afterwards. 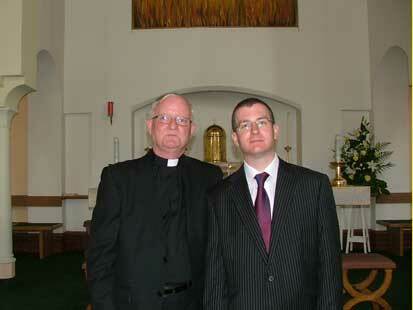 I went to visit him in his new parish two weeks later. Firstly, I discovered it’s a long slow road. The church and presbytery are set in beautiful spacious grounds just on the left as you enter the town. The house was twice the size of the old St. Alban’s Presbytery and in need of a complete upgrade. The Church was pretty, colourful, and prayerful. The parish has four churches altogether. The main one is in Caister 6 miles away. There are chapels in Hainton and Osgoodby too, so Tom will be busy on the roads! 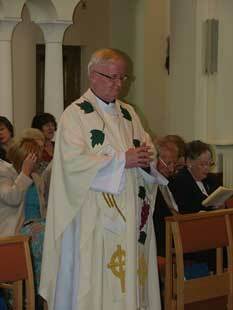 He seemed to be taking it all in, at his own pace and we wish him many years of fruitful ministry in his new parish.